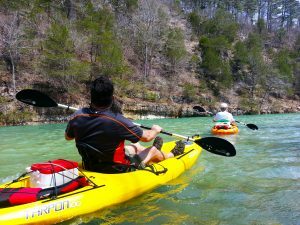 Spring is here and its the perfect time to visit Eureka Springs for an affordable and stress free getaway. Stroll through downtown, visit the natural springs, discover hidden stairs, streets, and historic remnants as you explore town. Visit the many unique galleries and dine around at Eureka’s fabulous chef owned restaurants. 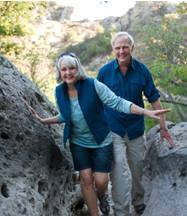 A popular destination for couples, active seniors traveling in the southern Ozarks region. Planning is part of the fun. Eureka Springs is full of quirky shops and galleries, unique dining, and one-of-a-kind experiences. No longer seasonal, Eureka Springs is now open Year-round so great ideas can quickly transition into stress fixes. 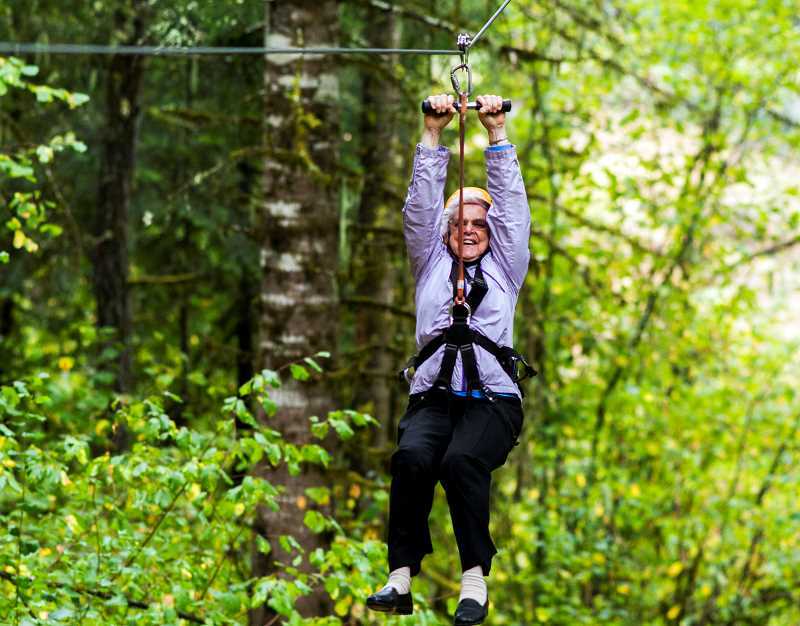 From Ghost Tours, Big Cats, Thrilling Zipline Adventures and Tram Tours, make sure to visit a one stop show for your attraction ticketing ahead of time. Plan Your Trip. Excitement is abundant in Eureka with the many festive parades, events, nightly music and colorful characters that make up the local scene. Be in the know of what there is all to do on your trip. Eureka Springs Things To Do. Relaxation is the key to your visit. Take a day to relax in one of Eureka Springs’ spas. Spend quality time with a good book or good company over a cup of joe. Try Daily Roast downtown by the Flat Iron or Arsagas’ coffee at Brews on Spring Street. 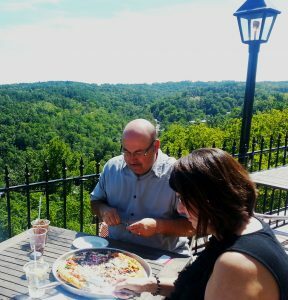 Relax over a regional microbrew at Brews, or sip and sample some delicious wine at Eureka Springs StoneHouse or sit out on the SkyBar deck with the best views of the Ozark hillside. Enjoy some live music or hang with the locals at Chelseas. Sleep in late and ask for a Sunday Stay Later at one of Eureka Springs’ most preferred accommodations and enjoy some extra time while saving some money on your room with seasonal, “online only” Hot Deals found at ReserveEureka.com. Outdoor Enthusiasts, the greater Eureka Springs’ area offers convenient accessibility to a wealth of outdoor activities such as Beaver Lake, Table Rock Lake, Kings River, White River, Thorncrown Chapel, Blue Springs Heritage Center, Black Bass Lake, Lake Leatherwood, the Hogscald and Big Clifty areas, Holiday Island golf course and marina, numerous providers offering scenic horseback rides, Starkey Park Marina, Beaver Dam Site Park, Beavertown Bridge, the 12,000 acre Hobbs State park, Madison County Game Refuge, War Eagle Mill, War Eagle Cavern, Onyx Cave, Cosmic Caverns, Roaring River State park and Trout Hatchery, The Mark Twain National Forest with its miles of ATV trails, Buffalo National River, Dogwood Canyon, and the Pea Ridge National Military Park. 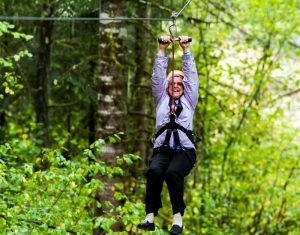 All are examples of the excellent outdoor adventures waiting to be experienced and all of these places are just a short drive away when anyone chooses “America’s Victorian Village” as their vacation hub.